Been daydreaming about escaping to the country or your deer lease every weekend you get off work? 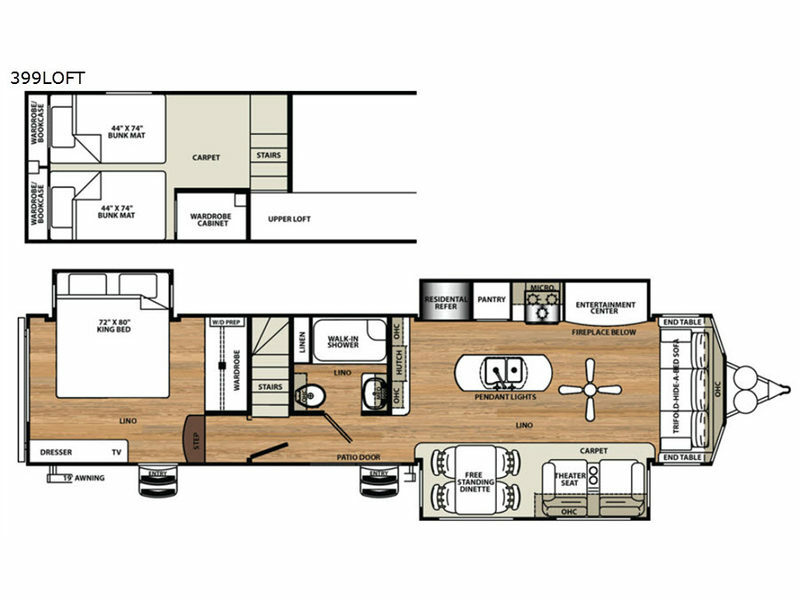 This destination trailer offers a unique loft for your hunting buddies or children, extra sleeping space on the tri-fold hide-a-bed sofa, and full bathroom and kitchen amenities with residential features. There are stainless steel appliances, a residential refrigerator, a hutch, and a kitchen island with pendant lights above. The combined space also includes theater seats and a fireplace. There are dual entry doors for an added convenience, and the 60" dual pane patio door offers more natural lighting and a beautiful view of your land. 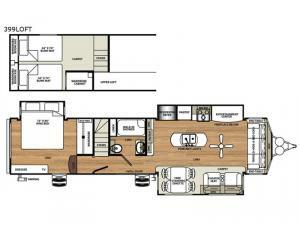 Your buddies can sleep in the upper loft which includes two bunk mats and storage for their gear while you enjoy the king bed in the master bedroom. Take a look!